The Saskatoon Public School Board trustees will be meeting at an all-day “Future of our Schools” session on Tuesday, December 2, 2014 where they will discuss the conversion of City Park Collegiate, planned to take place in the Fall of 2015. A group of residents of City Park would like the future plans of City Park Collegiate to include an early learning centre (daycare and/or preschool) as well as an elementary school. If you share these views, please read and sign the petition at the following link. Any and all opinions of what the future use of City Park Collegiate are encouraged to be directed to our trustee Holly Kelleher, whose e-mail address can be provided upon request. Please note that this petition is the initiative of a group of City Park residents. The CPCA has not yet taken a position on this matter. This mural was commissioned by our City Park Community Association and was designed and painted by our local artist Bevin Bradley. 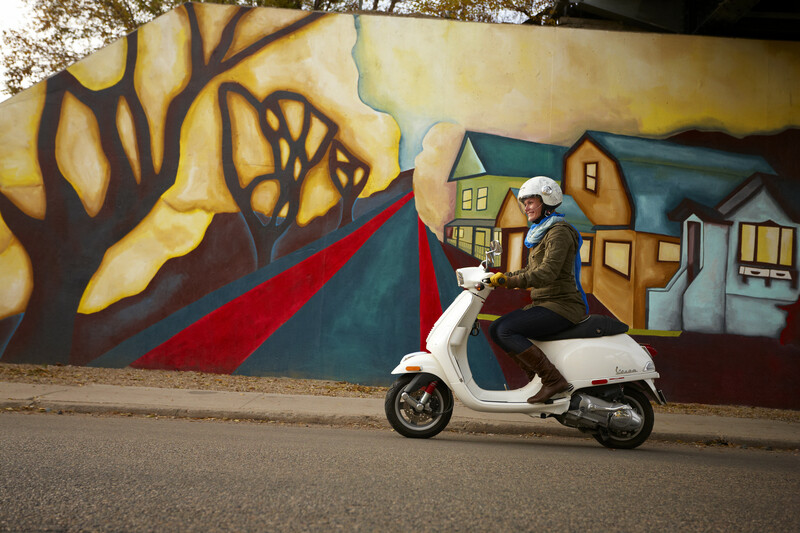 This photo will appear on the cover of Tourism Saskatoon’s 2015 ExploreYXE Guide.